Freddy stands 8” tall and is fully articulated. 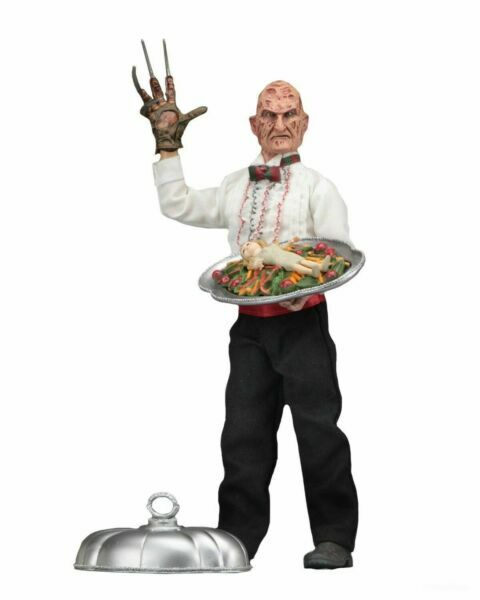 He comes with a chef hat and a gruesome serving tray with removable lid. Blister packaging with resealable protective clamshell features custom artwork created by Nathan Thomas Milliner just for this release!